Support Anderson Animal Shelter at Portillo's! 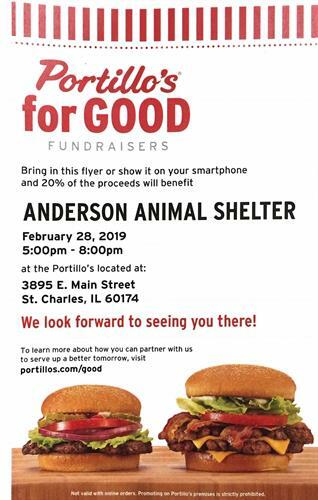 Name: Support Anderson Animal Shelter at Portillo's! Anderson Animal Shelter will receive 20% of all proceeds (not valid on delivery or catering orders) from 5pm-8pm on Thursday, February 28.